Electric Car Conversion Kit - How To Choose One? Electric Car Conversion Kit – How To Choose One? Home/EV Conversion/Electric Car Conversion Kit – How To Choose One? People who haven’t converted their cars into electric cars yet do not know what a conversion kit is. It is a kit that contains equipments and accessories necessary to convert a gasoline car into an electric car. The kits contain different items depending upon the supplier and the type of conversion kit you buy. There will at least be an electric motor and a controller in each kit. Some kits will have more accessories and equipments and the contents of some other kits will suit exactly for certain types of donor cars. 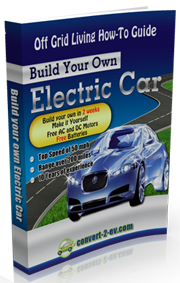 In addition to the motor and the controller, you will certainly need a number of other tools and items to convert your conventional automobile into an electric car. There are varieties of car conversion kits meant for different types of cars and different ways of conversion. Choosing the right kind of conversion kit will save you lot of time and trouble in your conversion process. The ideal kit for converting a gasoline car into an electric car is a DC conversion kit. If you can find a donor car that already has a tool kit designed specifically for that car, your work will be much easier. Now let us look at the reason why a DC conversion kit is the ideal one. First of all, DC motor system is less complicated than an AC motor system. Secondly, conversion using a DC motor will be cheaper than using an AC motor. Lastly, DC motors are easily available. The main shortcoming of an electric car converted into DC system is its inferior range. Irrespective of this shortfall, it is a better method to start with. Since converted cars use deep cycle batteries to get power from, a DC motor conversion system will be more suitable. If you are an electrician yourself, you may be able to convert your car into an AC motor system. Otherwise, stick to conversion to a DC motor. The next thing you should keep in mind while buying a conversion kit is to look for custom made conversion kit for your donor car. If you can get a kit whose contents will fit exactly for your car, you will be saving a lot time and efforts in converting your car into an electric car. Otherwise you will have to go shopping for each and every piece which is a time consuming and boring affair. Even if you are prepared to go shopping, you have to collect them, pack them, unpack them once you reach home and store the remaining parts securely. All these steps will consume a lot of your precious time. Unless you have plenty of free time, look for custom made conversion kit. This is what most people do. People who convert their cars for the first time try to get a custom made conversion kit to make their work easy and fast. But if no custom made car conversion kit is available for your donor car, you will have to be satisfied with a universal electric car conversion kit. This kit contains most of the necessary items for any standard car and they are not designed to fit any particular type of car. Any average sized donor car can use the kit. Usually there is the Deluxe Universal Kit which contains almost everything you need to convert your car into an electric car. This is the most ideal one for anyone who doesn’t want to go shopping and who doesn’t have spare part at one’s garage. There also the basic electric car conversion kit. It contains only a few essential parts needed for the conversion and it will be lacking a lot of other things you will need for your car conversion. I know what you are saying about the limits of the electric vehicle and for that reason I have been looking at the possibility of making the EV come close to competing with the ICE. I have been working on this for about 9 years but it is only in the last 3 years after getting this computer and the Internet that I have progressed substantially. I think I am very close, but I am loosing my confidence for it is impossible to fight against big money or the lack there off. I am at the moment putting together a business application to see if I could get a grant from my government to develop my idea. However, due to man being greedy people are not willing to just supply you with anything to see if you can do it, because there so many con men out there. They are actually the people who are hurting the environment. I hope that I would come right with my application, because it should boost my confidence. The grant gives me the opportunity to find the first $30 000 to start the project and after the 1st milestone report a refund to continue, till the project is finished. Thank you for listening because all I needed at this point is for a ear to listen. It is difficult to keep secrets within yourself, but it is just as difficult out there because someone is always ready out there to steal it. I am sorry I can’t divulge any of the project, but will let you know of any progress as soon as I can. and thank you for web site.